Beautiful, spacious family house (3 bedrooms, 2 living rooms, 2 bathrooms) with vegetable garden, patio and veranda, with stunning views of the Alhambra. 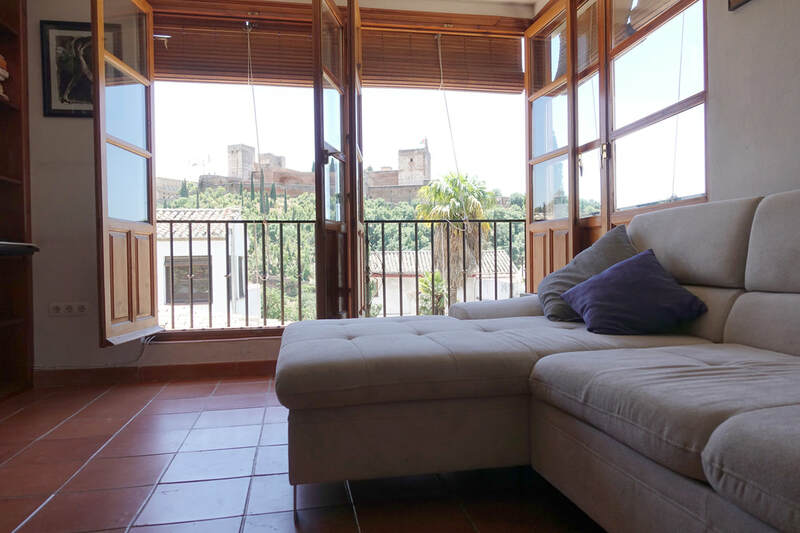 The house is in the heart of historical quarter of the Albaicin and is walking distance to bars, shops and the centre of Granada. South-facing, sunny and light-filled, the house is fully furnished, has high speed wifi, air conditioning, washing machine and dishwasher. €1,350 per month plus bills.